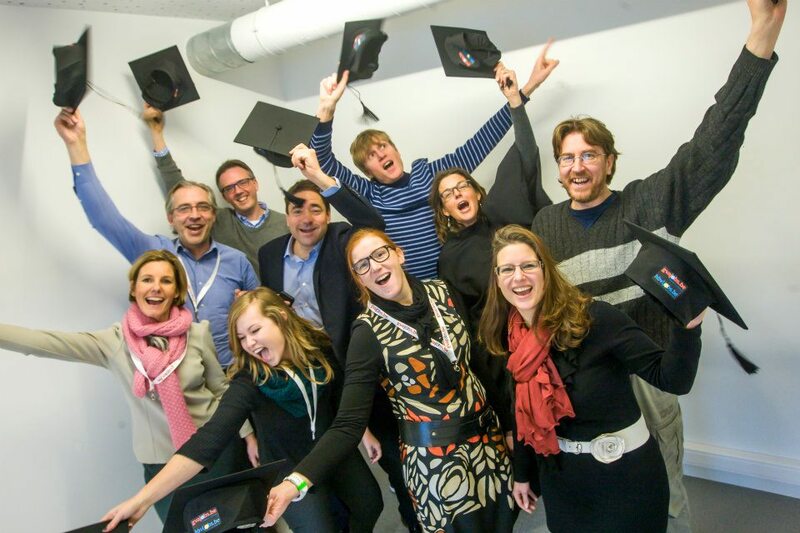 Welcome to the european website of Square Caps® , the original Square Academic Caps for your diploma ceremony. 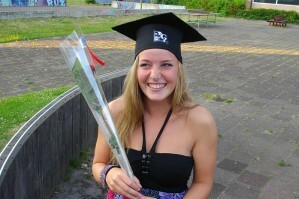 Square Caps® mortarboards are made of chic fabric of high quality standard and beautifully finished with eye to detail. The original mortarhats are available from only € 1,99 each and at 35 cents extra they will even come with a full-colour imprint of your logo, text or photo ! 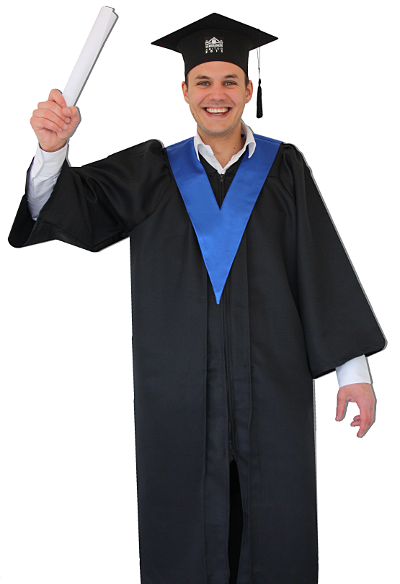 We also supply graduation gowns and other matching accessories at student-friendly prices. Our staff delivers great and fast service, we despatch your orders directly from stock and ship them at lowest cost to all european countries. 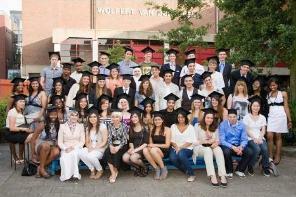 We are the trusted suppliers of educational organizations in different european countries. Well-known companies and familiar brands belong to our clients as well. 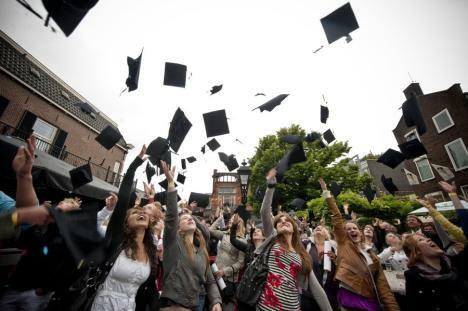 For just a small amount per student your grads will be distincted from the public in traditional style. Leaving school happens just the way the grads have always wished: real,official and festive. With Square Caps it is sure going to be a festive ceremony with the best film and photo opportunities. And of course when throwing the Square Caps® in the air ! Click here for some pictures. Square Caps are the perfect farewell present. 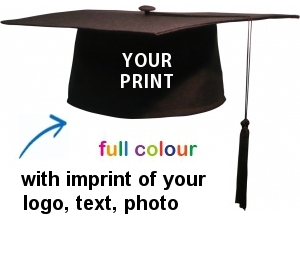 We offer high quality mortarboards with your own full-color imprint at only GBP 2,34 ! 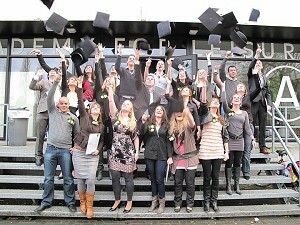 A student-price for a perfect suitable and lasting memento to the school, education, MBA, course, academy, job and so on. 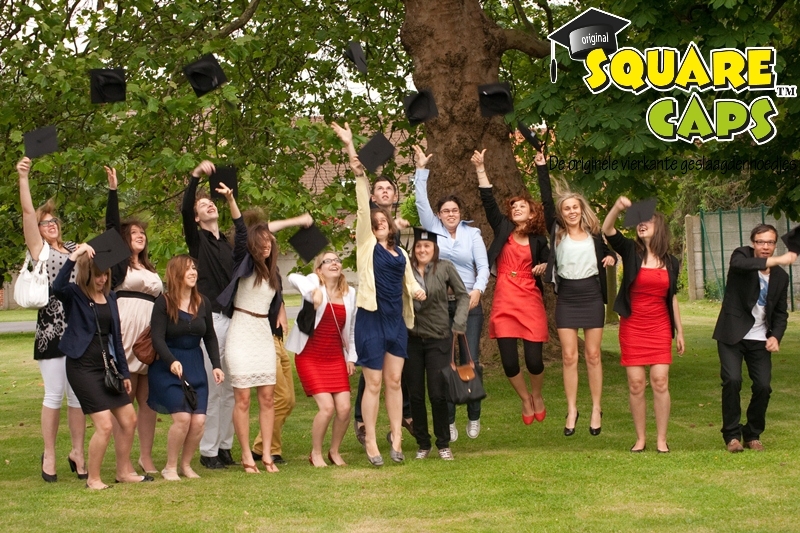 There is no better advertising than a group of enthusiastic graduates wearing Square Caps with your logo on the front. Think of the possibilities for your brochures and website. 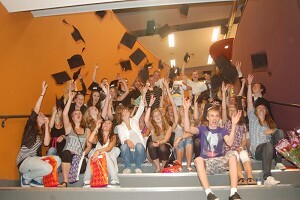 The proud grads and their audiences will put their pictures and videos on the internet. Your logo will appear on social media, like Facebook, Twitter, Youtube, on smartphones and maybe even get the newspaper! 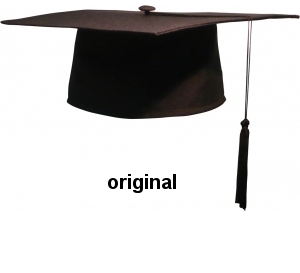 Square Caps®, the original mortar hats for all your grads.